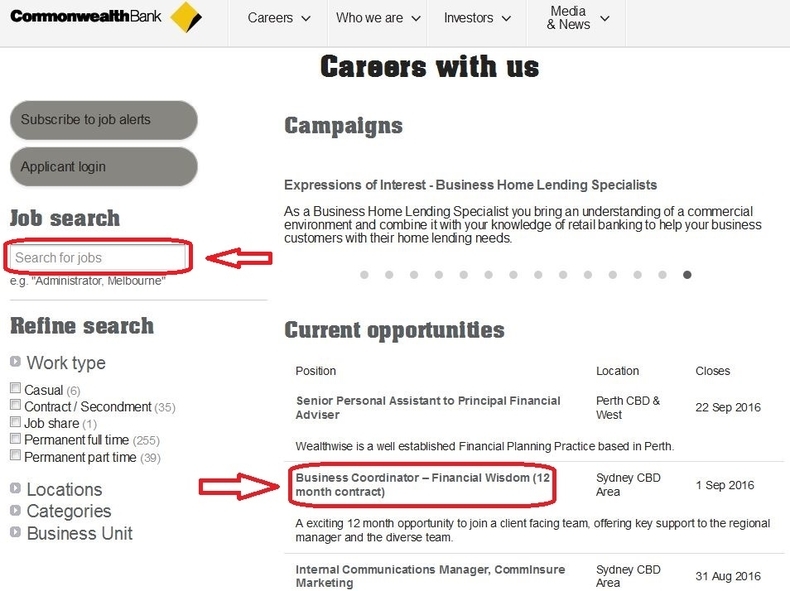 Visit Commonwealth Bank careers page at commbank.com.au/careers and scroll your mouse down to the bottom of the page. 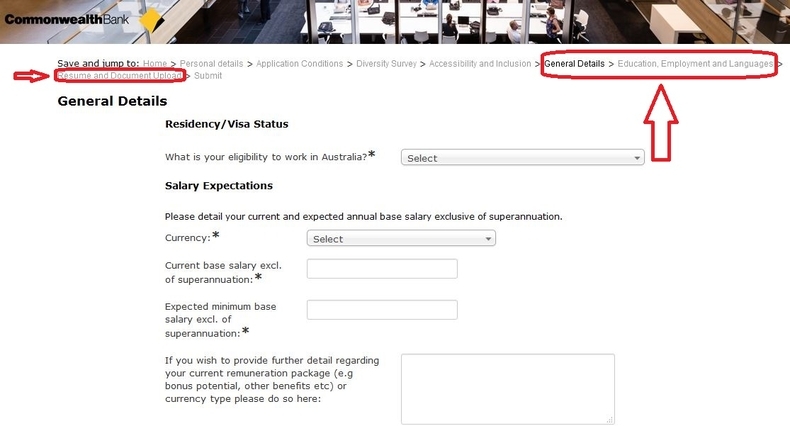 Then click the search icon or the "Search & Apply" button to find an opportunity for you. Search a position for you by selecting work type, locations, categories or business unit. Or you can browse the current job opportunities and select a position by clicking the title. Read the information displayed on the page carefully and get to know more about the position. 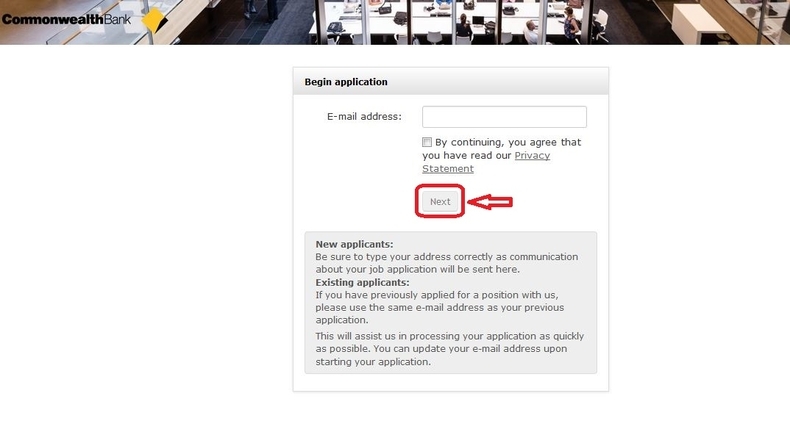 If you are interested in the position and want to apply for it, you can click the button "Apply now" to start. 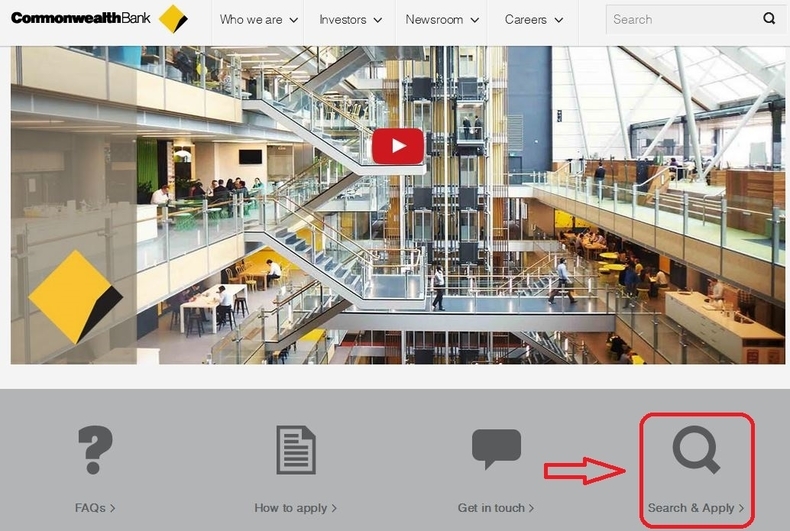 Enter your email address, personal details and password to create a Commonwealth Bank account. All the fields marked with asterisk are required information. Finish all the required fields and click the button to save and continue. In this step, you're asked to accept the application conditions and answer questions related to diversity survey, accessibility and inclusion. Follow instructions to finish the steps like providing general details, information about your educational experiences, employment history and language skills as well as uploading your resume and other documents. Click the button at the bottom to submit your application. Or your can save it and submit in the next time. Your application has been submitted. 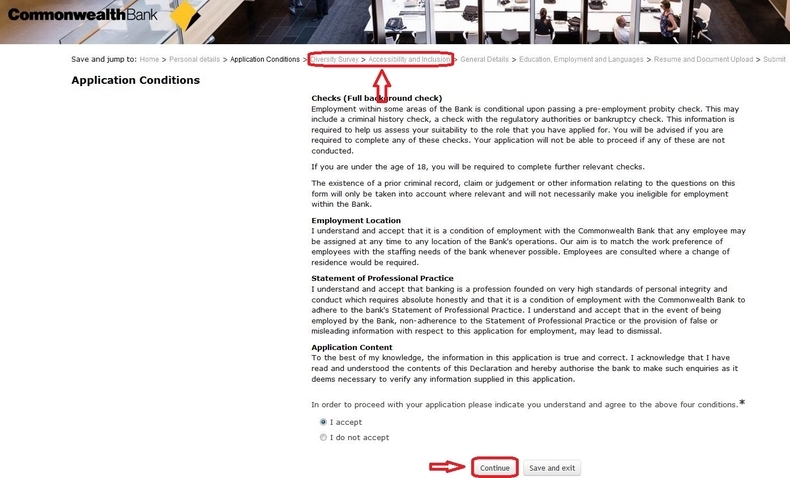 You can click the button to return to home to view your completed application or withdraw it. 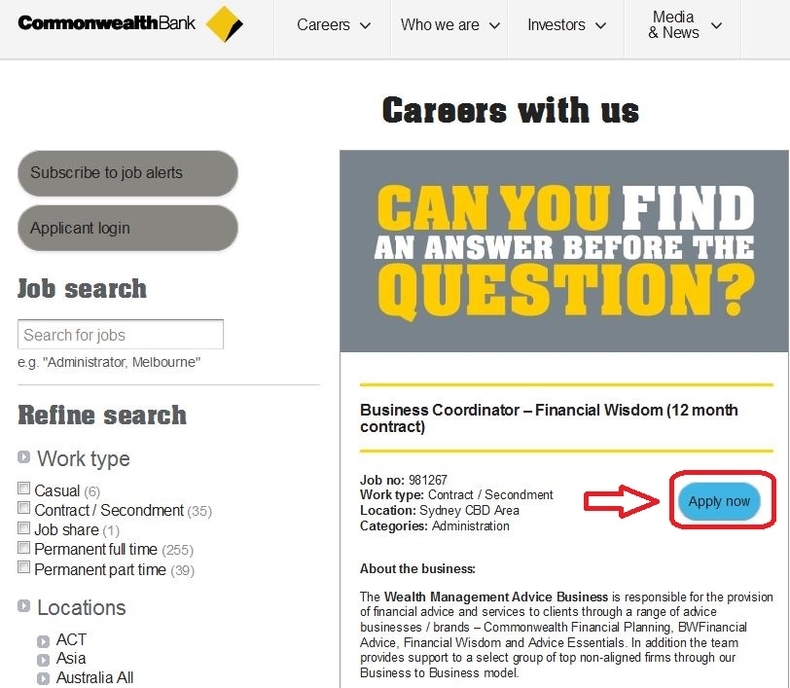 Click commbank.com.au/careers to apply for Commonwealth Bank jobs online.